By installing a solar hot water heater, you can reduce your energy bills by harnessing the power of the sun to heat water at zero cost and significantly cut your household’s greenhouse gas emissions. For a typical household, water heating accounts for about 30 percent of total greenhouse gas emissions and household energy use. Depending on the climate and the model of heater, a solar water heater can provide between 50 to 90 percent of your total hot water requirements. 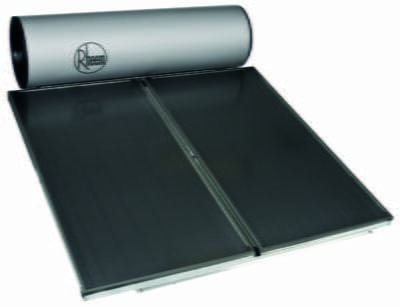 Australian Hot Water supplies and installs a wide range of solar water heaters from all the leading manufacturers. As the average household uses its water heater many times a day, it is important to choose the right system. We can help you to select the most effective and energy efficient water heater for your property and lifestyle. To have a discussion about which solar hot water system would suit your property, call us for expert advice. It is important to note that the upfront cost of a solar hot water system, including installation, is higher than electric or gas water heaters. For most households, energy bill savings will compensate for this initial cost difference over time. In addition, your household may be eligible for government rebates and incentives to offset the cost of a solar hot water system. Most solar hot water systems use solar collectors or panels to absorb energy from the sun. Water is heated by the sun as it passes through the collectors, and then flows into an insulated storage tank for later use. In passive systems, water flows unassisted between the collectors and the tank. In active systems, water is pumped between the collectors and the tank. As solar hot water is rarely completely adequate for a household’s hot water needs, the storage tank is usually fitted with a booster. This may be powered by electricity, gas or solid fuel, and heats the water when sunlight is insufficient, such as cloudy or wet days, or during winter when there are fewer daylight hours. Some solar water heaters also have frost protection to prevent damage in frost prone areas. We provide a same day service for the repair and replacement of solar hot water systems. With over 30 years’ experience, you can be confident that our authorised service representatives can service and repair your hot water system – even if it has long been out of production. We are certified service agents for all the top manufacturers. To book a same day service, phone Australian Hot Water now.